Hamburg, once known as ‘The Gateway to the World’, due to its place in international trade, is a maritime enthusiast’s dream destination. It boasts being Europe’s second largest port, giving off nautical vibes, from the pier of Landungsbrücken to the modern development of Hafencity. Its numerous canals and rivers, are crossed by more than 2,500 bridges. Europe’s City of Bridges – Hamburg is thought to have more bridges than London, Amsterdam and Venice combined! Always on the lookout for convenient weekend flights, we couldn’t be happier with the perfectly timed Saturday early morning flight from Edinburgh, putting us in Hamburg at 10.30am, and having until our return flight on Sunday at 10pm to explore the city, without having to take any leave from work. We found that 2 days in Hamburg was enough to check off the major sights of the city, although without spending time in any museums or galleries. If you prefer to take a leisurely pace through sight-seeing and catch the museums, 3 days would be sufficient. We stayed at the Heikotel am Stadtpark hotel in the Winterhude area of Hamburg. 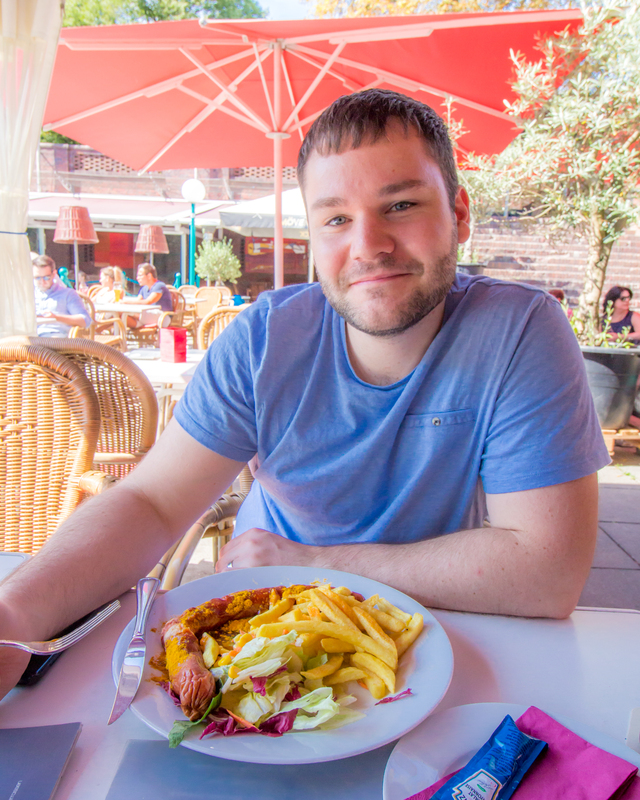 We travelled around Hamburg by walking and public transport, using the metro U-Bahns and train S-Bahns. Hamburg had one of the easiest public transport systems we have ever used, and this is all you will need to get around the city. As always, we used Google Maps, to navigate, specifically how to get to the nearest U-Bahn or S-Bahn station, and which line to take to our destination. We used the Hamburg Card, which buys you unlimited travel on bus, train and ferries, as well as offering discounts for more than 150 tourist attractions, including boat tours, museums, musicals and restaurants. You can buy it for an individual or for a group, which can be used for up to 5 people, and there are options to buy it for 1 day to 5 days’ use. The weather was absolutely gorgeous the whole weekend we were in Hamburg, with glorious warm sunshine. 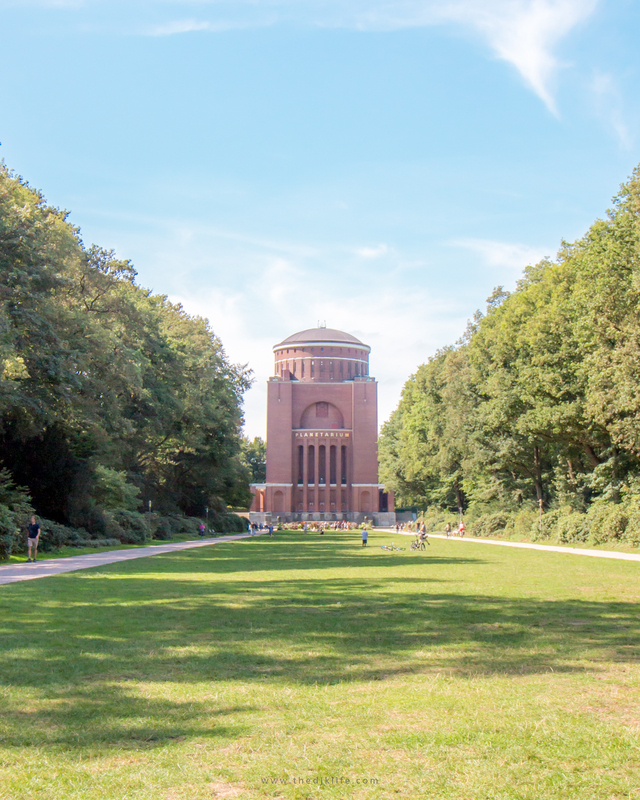 So, after we checked into our hotel – Heikotel am Stadtpark – we took a wander along to Stadtpark, a lovely, big park in the Winterhude area of Hamburg. Here, you can take a walk through the statues and gardens, watch people drive their model boats in a small pond dedicated for model boats, hire a canoe or kayak to explore the lake, and even visit the planetarium. 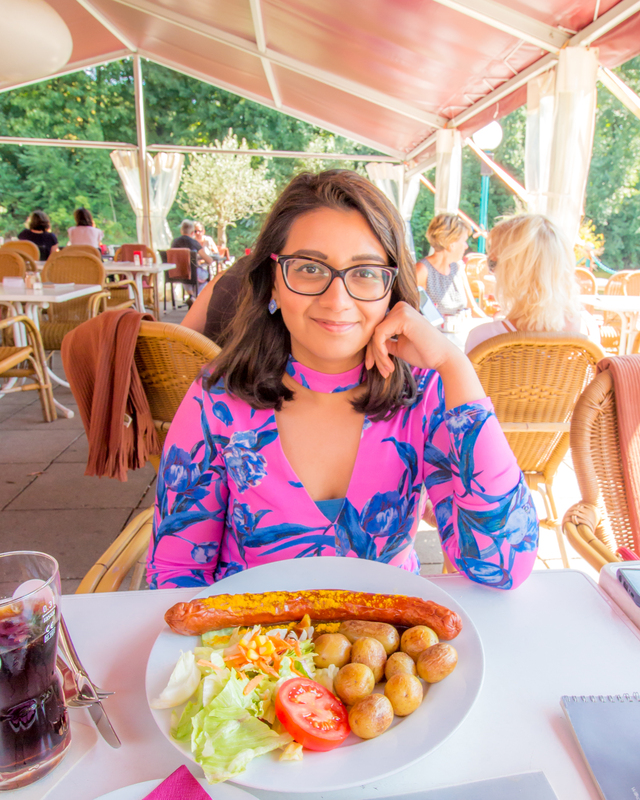 The sun was shining down on us on a glorious Saturday, as we stopped for lunch at Cafe Sommertarrassen, a cute little cafe by the lakeside where you can watch people out on the boats. Top Tip: There is a lake/pool where you can swim, or just sunbathe alongside it. So, if you’ve got a warm sunny day, take your bathing suit along. 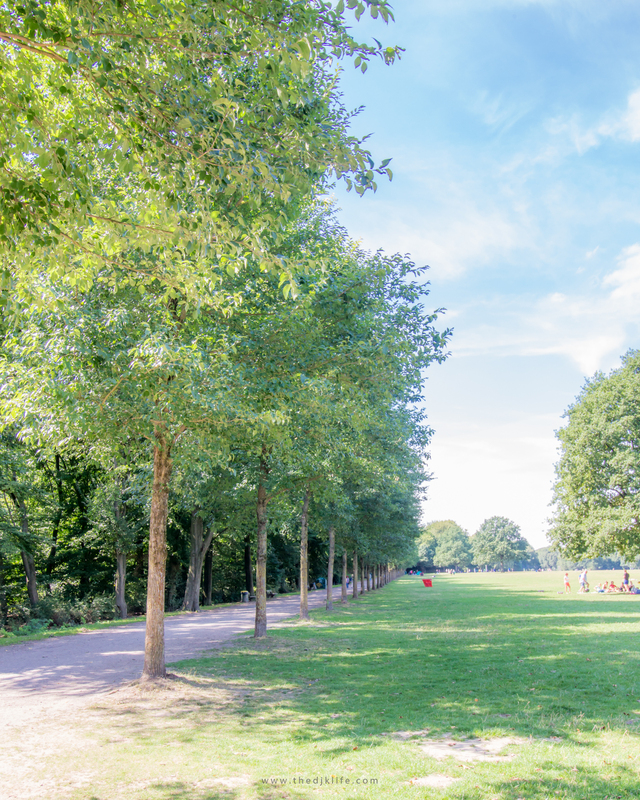 After we spent a couple of hours walking around the park, we decided to head to the cool, vibrant St. Pauli area. We walked to the nearest metro station from the park and took a 15 minute ride to the Landungsbrücken stop. 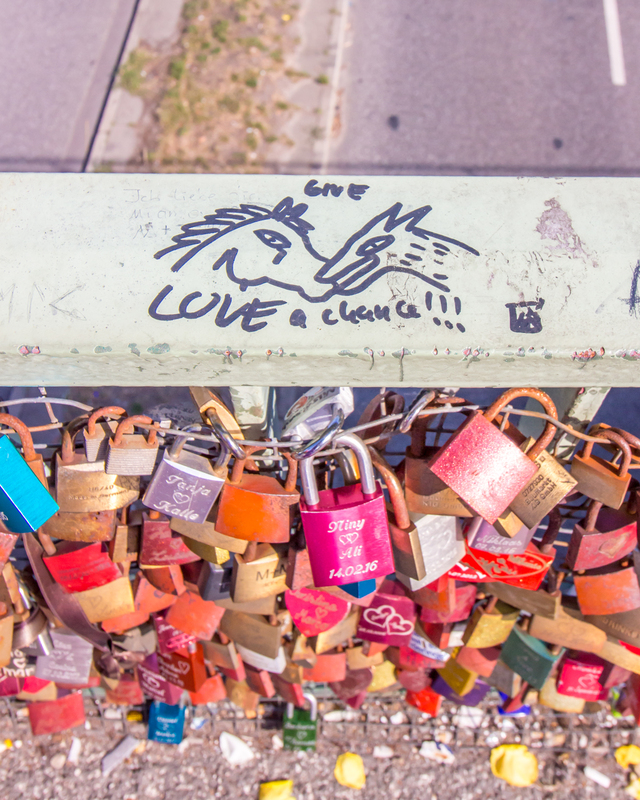 As you walk out of the station, you are greeted by one of Hamburg’s ‘love lock’ bridges. 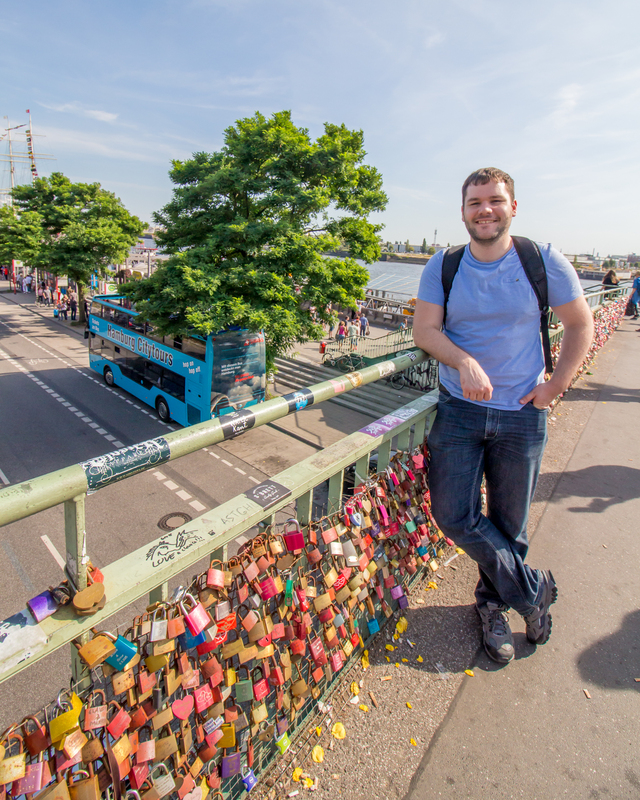 Originating in Paris, these love lock bridges are appearing on city bridges around the world, and Hamburg certainly isn’t short of them. Take a walk along the pier and enjoy the nautical sights of the river and boats. The place has a lovely aquatic vibe – tourists and locals taking a stroll along the waterside, or chilling out sipping on their drinks in a cafe, with the sun streaming on to the river making the water glimmer. The Hard Rock Cafe also has a rooftop bar which we assume has great views – we just didn’t get a chance to visit it. Top Tip: This is where you can book one of the many boat/harbour tours, which will cruise along the River Elbe, from where you can admire the sights of the pier, Speicherstadt and HafenCity. 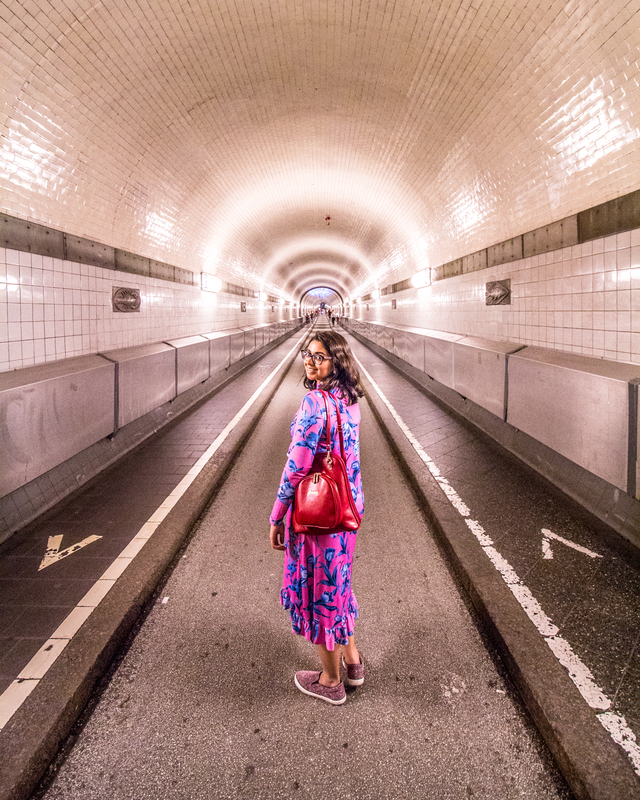 The Old Elbe or St. Pauli Tunnel is the first river tunnel to be built in Europe, at a time when the Port of Hamburg was growing and moving to the southern side of the River Elbe – so a more direct means of travelling was needed. 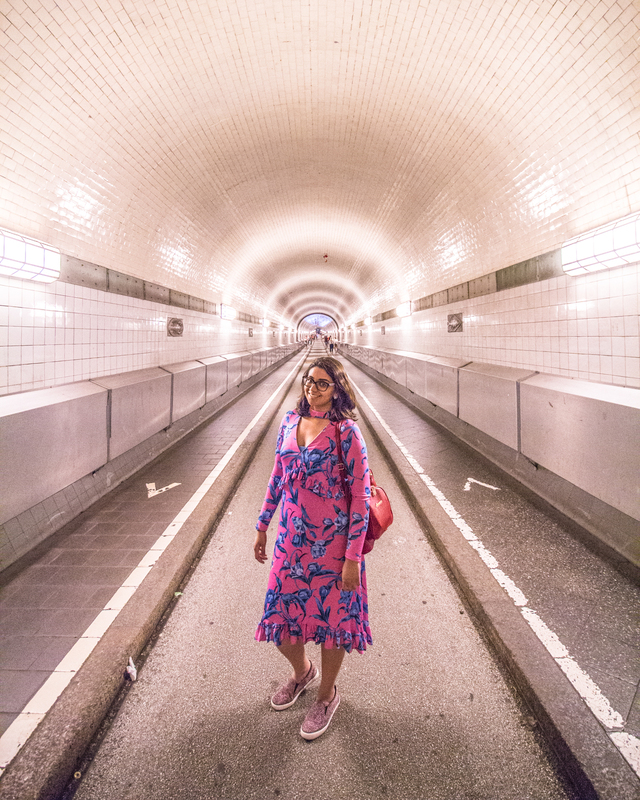 It was only after we reached the other end of the tunnel, and emerged on to the surface, did we realise that we’d walked under the River Elbe. The entrance to the tunnel can be reached by walking past Hard Rock Cafe Hamburg towards Bridge 6. It is free for pedestrians and cyclists to use. You can reach the bottom by either taking the stairs or getting on one of the 4 large lift cages, which will take you down to a depth of 24 meters. The spotlight like lighting, tiled arches and decorative panels on the walls will make you want to be reaching for the camera and capturing that symmetry! Top Tip: Take your time walking along the tunnel, and you can even walk up and down it as many times as you want. You might need to do that if you’re looking to get photos with minimal people in it, as the tunnel can get crowded. The photos above were all taken at peak time with no editing out of people – we had our camera settings ready and jumped in the middle when we spotted a gap in the crowds. This was our highlight of the trip! Miniatur Wunderland is the world’s biggest model railway exhibition. It has 3 floors of miniature towns and cities from around the world (and some very recognizable landmarks), set up with cars, trains and other vehicles moving around the miniature set alongside miniature people. The scale of the landscapes created are just incredible and we can’t even imagine the amount of work that went into it. Photos and videos don’t do it justice – you need to see it in all its, all-moving, all-hearing glory. The lights go off at regular intervals, creating a night time look, when the scenes illuminate and give off a totally different vibe! Expect to spend at least 2 hours in this place. Top Tip: Although you can buy tickets on the door, book your tickets online, and in advance! The place is open till very late, but during peak times, you might have to wait for an hour or more after buying your tickets on the door, before being let in (for crowd control reasons), whereas if you buy it online, you can go straight in at your time slot. When the sun goes down, and the city starts to come alive with glittering lights and loud music, head towards the Reeperbahn, or Hamburg’s Red Light District – the ‘sinful mile’ of St. Pauli. This is where you will find bars, cafes, clubs and all things sleazy. We started our day early and after checking out of the hotel, we headed back to Speicherstadt for the departure point for the HafenCity RiverBus. This is an unique amphibian boat-bus, which takes you on a tour through the Speicherstadt, HafenCity and Rothenburgsort districts. The tour lasts around 1 hour 10 minutes. Halfway through the tour, when we reach the peninsula, the bus transforms into a boat, and heads into the water, for a cruise through a part of the River Elbe. The only thing to note is that the whole tour is in German, but English speakers will get a leaflet, containing all the information mentioned on the tour. Top Tip: Don’t forget to take your camera out to take a video when the bus starts to enter the water as a boat, and again, as it’s leaving. A video works much better than just series of photos. When we got dropped off, we crossed the road and headed in the direction of the International Maritimes Museum. Unfortunately, our itinerary didn’t give us enough time to spend time in the museum – however, if you are a maritime enthusiast, we get the impression that its time well spent in there. Instead, we walked around the area surrounding the museum and took in the interesting statues and sculptures. Speicherstadt, which translates to ‘city of warehouses’, is in fact the largest warehouse district in the world and has been around since 1883. Due to its importance, it was awarded the UNESCO World Heritage Site in 2015. You may assume warehouses sound dull and industrial but it’s actually one of the major sights in Hamburg and of historic relevance. The rows of orange-red brickwork buildings framing the canals on either side really shows off the city’s urban beauty and is an absolute delight for urban photographers. Top Tip: This place has become quite popular for Instagrammers, and although you will feel tempted to visit the same famous ‘photo spots’, open your mind to capturing the geometry and perspectives from alternate spots. There are so many bridges in this area, with different views seen through them, it’s hard not to photograph all of them! From Speicherstadt, we walked around 12 minutes in the direction of the Rathaus (City Hall). The Sunday we were there, a lot of the city roads were blocked off for the Cyclassics Cycling Event in the city. Due to the event, the city center had more of a buzz around it, especially when the cyclists made their way right through the center. The Rathaus is a gorgeous neo-renaissance building dating from 1897. It is the seat of the local government, and where the Hamburg Parliament and Senate assemble. It is situated in the Rathausmarkt, a square where fairs, markets and special events can take place. During the cycling event, the square was full of cycling and sports related stalls selling sports equipment. The Rathaus is free to enter for the public, and you may also buy guided tours. Doors at the side of the inner hall leads outside into the beautiful courtyard. This courtyard looks like an Italian piazza, and the center is taken up by a fountain depicting Hygieia – the Goddess of Health and Hygiene. It is built in remembrance of the cholera epidemic of 1892. Top Tip: As you enter the Rathaus, don’t miss the mini water spouting fountains on the wall, on either side of the main door. You might miss this small detail, whilst distracted by the beauty and elegance of the main hall. In Hamburg, there are 5 distinct spires that pierce the skyline. Even if you don’t get a chance to go along and admire all their exteriors close up, you’ll be able to see them all together from a rooftop viewpoint (coming up next). One of the spires belongs to the St. Nicolas’ Church. From the Rathaus, this church is just a 5 min walk away. It is a gothic church, making it distinct from the other church spires. Most of the church was bombed in WWII, leaving behind just the tower, crypt and some walls. From 1874 to 1876, this church was actually the tallest building in the world, and is currently the second tallest structure in Hamburg – first being Heinrich Hertz telecommunications tower – there are no skyscrapers in Hamburg, and in fact apart from Frankfurt, most German cities don’t approve high-rises and skyscrapers. Top Tip: You can pay a small fee to get the elevator up the spire for a view from the top. The Elbphilharmonie is one of the largest and most acoustically advanced concert halls in the world. We almost didn’t make it up to the Elphilharmonie building, and thought we would only be able to admire it from the outside. However, on the way to retrieving our suitcase back from the hotel, we were notified that our flight back to Scotland was delayed. So, wheeling our suitcase, we headed back on the S-bahn and towards Baumwall Station, from where we walked 7 minutes to the building. Entry inside the building is free, but you still need to pick up a ticket outside (for crowd control). After taking 2 very cool looking escalators, and climbing some stairs, we reached the public viewing platform, which makes up the circumference of the building, giving you a 360° view of the harbour and city. From here, you can view the different spires of churches and other buildings – some of the tallest structures in Hamburg. By the time, we got on our delayed flight back to Edinburgh, we were very tired but satisfied Hamburgers, having had the chance to see all the sights we had set out in our itinerary (plus one last minute one), in the space of just 2 days. This post has been written in collaboration with the Come to Hamburg project. We were offered complimentary stay at the Heikotel am Stadtpark, tickets for the Hafencity RiverBus and complimentary Hamburg Cards. However, all suggestions and opinions expressed are our own. Lovely post. Made me want to visit Hamburg someday. I visited Germany sometime back and did a tour through North Rhine Westphalia cities; I’d love to go back and see more of the country.